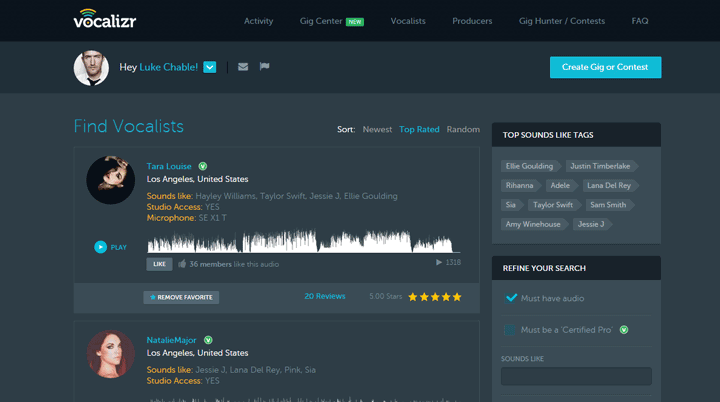 Vocalizr was created to connect professional singers and producers world-wide. We have the largest community of producers looking for talent. Save time finding the right singer for your project. Publish your project for singers to audition or find the voice you need using our powerful vocalist search. The most focused music production tool available. Our music industry professionals have identified key problems faced by producers and singers. We have created Vocalizr as a safe and secure online collaborative workspace. Ready to rock? Sign-up is free so lets go!